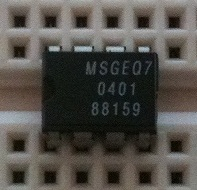 The MSGEQ7 by Mixed-Signal Integration is a Seven Band Graphic Equalizer Display Filter IC. What a mouthful! Long story short, it splits an audio signal into the dc equivalent of its amplitude at 7 set frequencies. It was provided to me by Nate Seldie and Pete Dokter over at SparkFun electronics. Thanks guys! 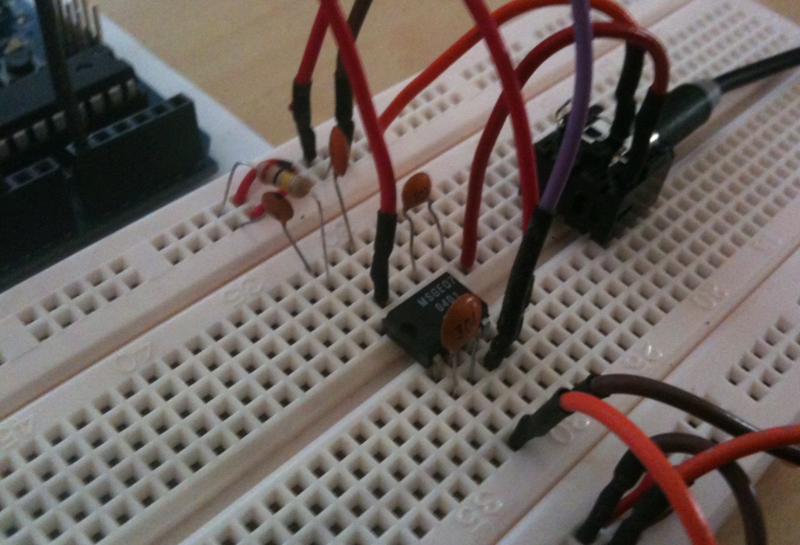 Ive shown the direction of the signals, as well as put the pin connection in (brackets) above or below the name of the pin. To reiterate, Strobe is connected to Digital 2, Reset is connected to Digital 3, and the DC Output Pin is connected to Analog 0. When the Serial readout is turned on, you get a bunch of numbers. What do they mean? Well, each column relates to a specific frequency that the chip looks for (63Hz, 160Hz, 400Hz, 1kHz, 2.5kHz, 6.25kHz, and 16kHz), and the number (which ranges from 0-1023) corrolates to how “loud” the sound at each frequency is. I say “loud” because Im not exactly sure how the chip does the conversion from loudness (in dB) to a 0-1023 integer. If you look at the following picture, youll see a screenshot of the code running. 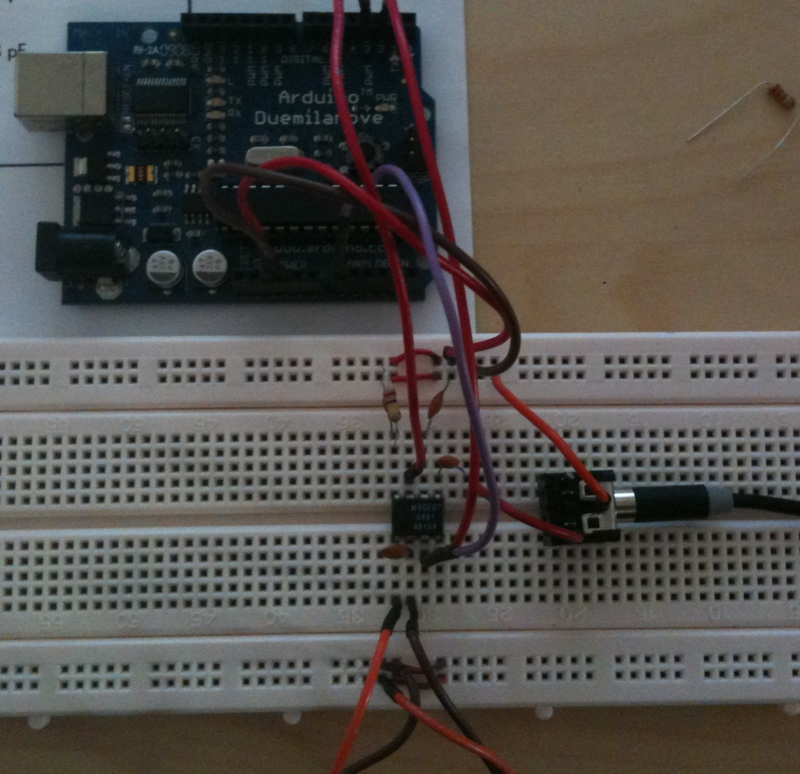 The program on the left is a frequency generator, which I will use to demo the code at a couple different frequencies. In this first shot, the generator is off – the ~60 value you see is my sound card making no sound. Neat! (Again, click on each picture for a larger version) The rest show different frequencies. Enjoy! This is an AWESOME tutorial! Thanks for the help, it will really make my project go a lot smoother. I’ve being working in a project with this chip. Thanks for sharing your. 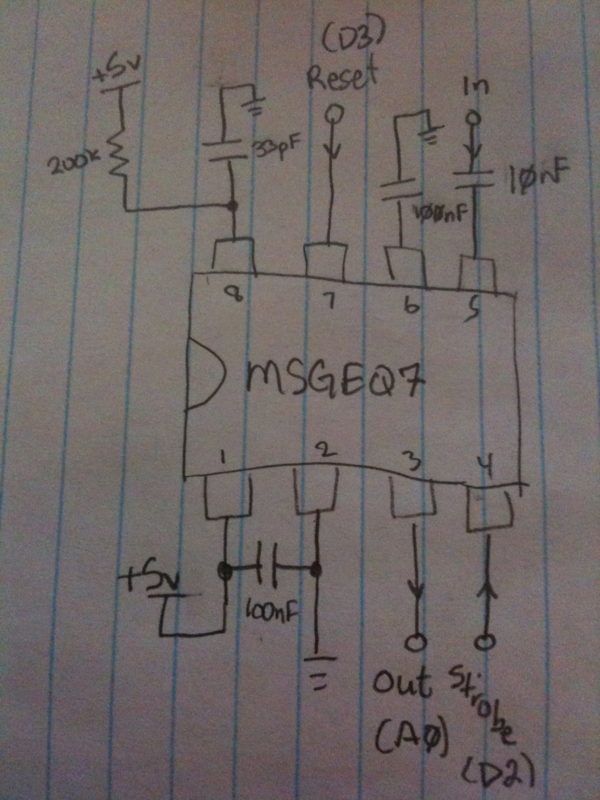 Hello I have a question regarding you schematic. Is there a reason you did it different then what the datasheet said. Im asking because I want to purchase this chip and I am not sure what caps I should buy since the circuits use different ones. 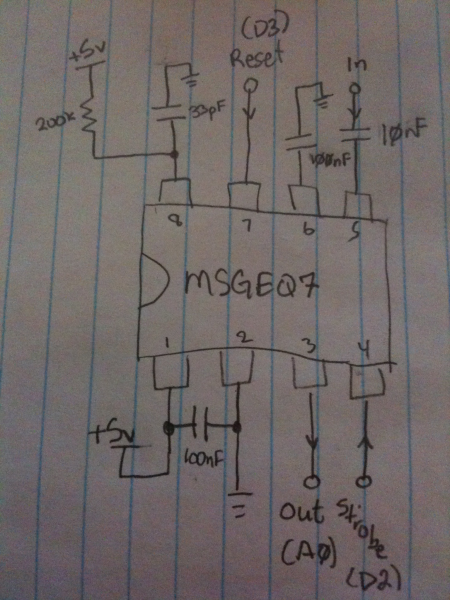 The capacitors in the schematic are the same as the datasheet, but the scale is different on the schematic. For example 100 Nanofarads (100nF) = .1 Microfarad (0.1uF). If you are looking to buy them use the Microfarad values in the datasheet. Great blog and an awesome build here. Do you have an email I can potentially contact you on? I have a few questions to ask. The data roughly stays the same no matter what. I verified that there is power to the IC. Built the circuit and it worked first time out of the box.